Slate has been acclaimed for generations as the ultimate roofing material. This natural stone has the remarkable ability to be manufactured into thin tiles of uniform thickness. A slate roof simply has no equal in durability and natural beauty. Slate enhances the aesthetic design of nearly any building with its variety of rich natural slate colors and slate textures. 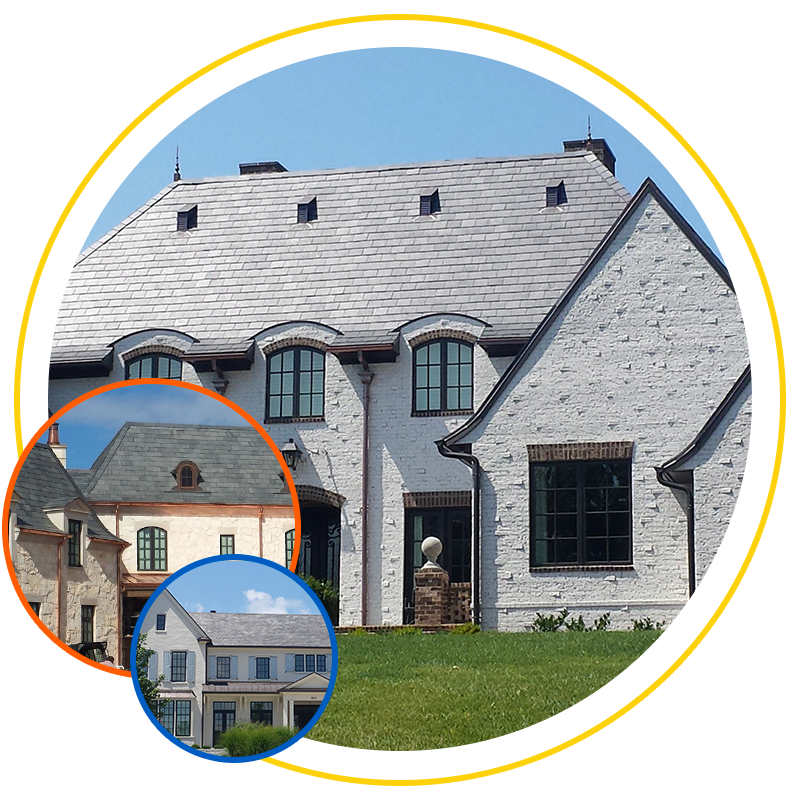 There are many benefits to a slate roof from longevity and appearance to energy conservation. Vermont slate is nature’s best slate! From color to texture to durability, Vermont slate exhibits the best characteristics of slate. Slate is a metamorphic stone and is essentially laminated rock – which is why it has the ability to be split into slate tiles. The geological conditions in the Vermont region when its slate was formed resulted in some of the world’s strongest, highest density slate. In fact, Greenstone Slate comes with a 100-year warranty* – a warranty that no other roofing material comes close to matching. Slate outperforms all man-made roofing materials making it the ideal green roofing solution. Advanced materials technology has generated some new roofing materials over the years, but slate remains the clear leader in creating the world’s longest lasting and most trouble-free roofing material. It is a dense material that slowly and evenly stores heat and then releases it gradually, helping to stabilize interior temperatures. Termed as the 100-year natural roof, a slate roof potentially keeps four or five worn out asphalt roofs out of landfills. It is the standard by which all other roofing materials are compared. Slate is more durable than any man-made material, proven to be the 100-year roof. Slate can withstand damage from hail!